Well, we all saw this coming. 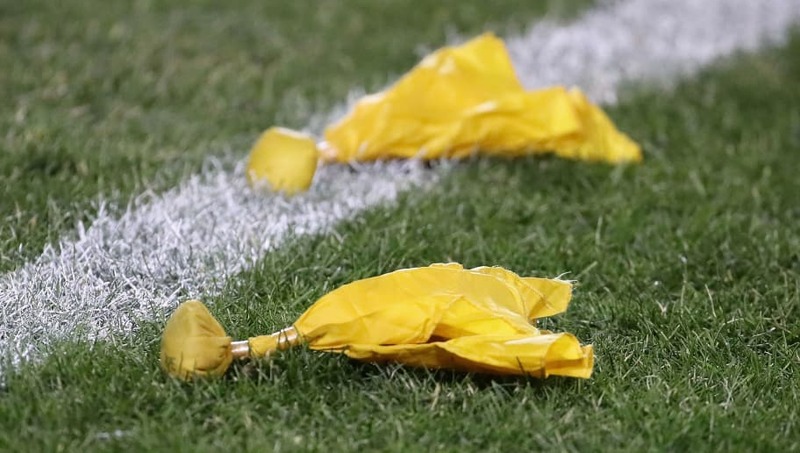 This year's NFC Championship Game was one of the most poorly officiated contests in recent memory, and not only cost the New Orleans Saints a trip to the Super Bowl, but also resulted in gamblers losing a ton of money. While Saints fans have taken to social media to express their disdain for the bad calls and no-calls, sports betting expert Darren Rovell of the Action Network expects that bettors who took the Saints will take their complaints to the next level. Fully expect a class action lawsuit to be filed against the NFL in the next 24 hours as a result of people claiming losses from bad call in Rams-Saints game. Don’t know how convincing the claims will be, but have no doubt they will be made. That's right, Mr. Rovell expects a full-on class action lawsuit against the NFL to be filed due to monetary losses sustained as a result of the bad calls. While these aggrieved gamblers probably won't get their day in court, they at least have some leg to stand on to help make their argument, as mobile betting service Points Bet USA announced that they will refund all wagers placed on the Saints. The NFL should follow the lead of Points Bet USA and try and get out in front of this issue. While they would probably win any lawsuit filed against them, they should at least develop a policy to protect those who have given the sport untold new riches via gambling from such unfair circumstances. It's the least they could do after assigning the game to an official who used to play for one of the teams.